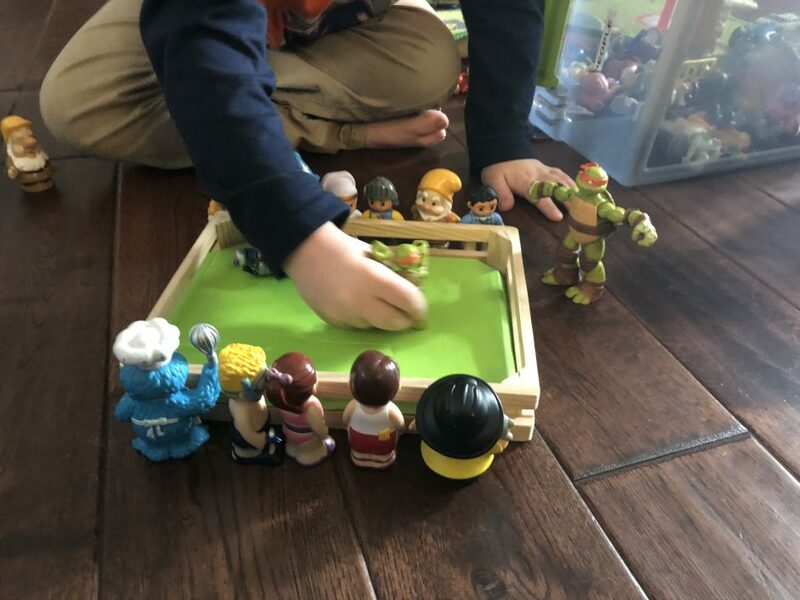 Noah’s toys are having a boxing match! As Noah get’s older it’s fun watching the types of toys change, as well as the way he plays with them. 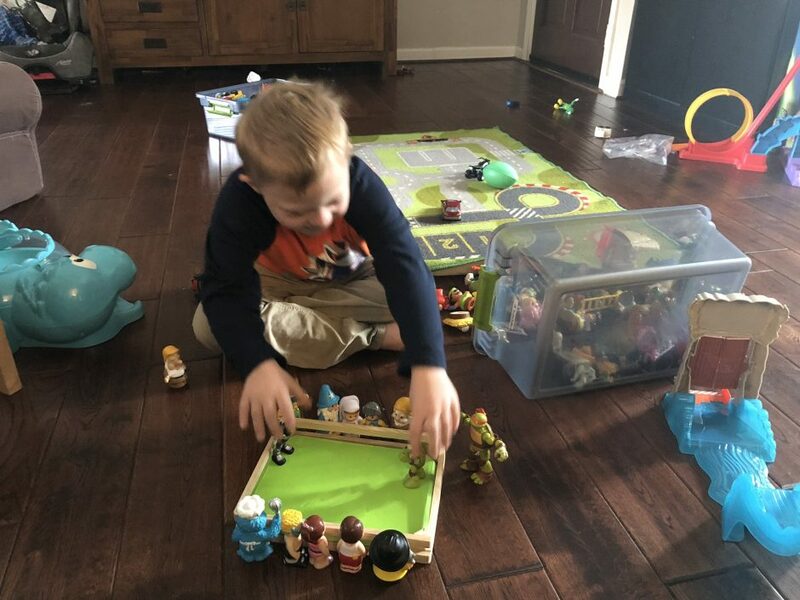 As you can see in our gift idea post, Noah really enjoys playing with toys that allow him to use his imagine. 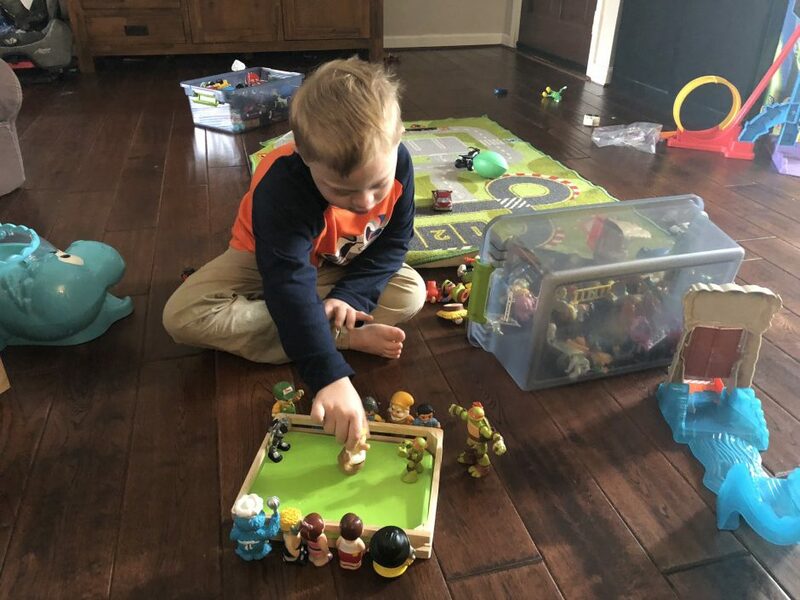 I think he could play all day with Hot Wheels, Imaginext toys, and little toy figures like the ones he’s playing with in these pictures. I love seeing how his “little” 7 year old brain comes up with creative ways to play with his toys! I think one of my favorite things about watching Noah play with his toys like this is how it’s a great reminder of how much of a “little boy” he is. How he likes to do the same things that any other kid likes to do. 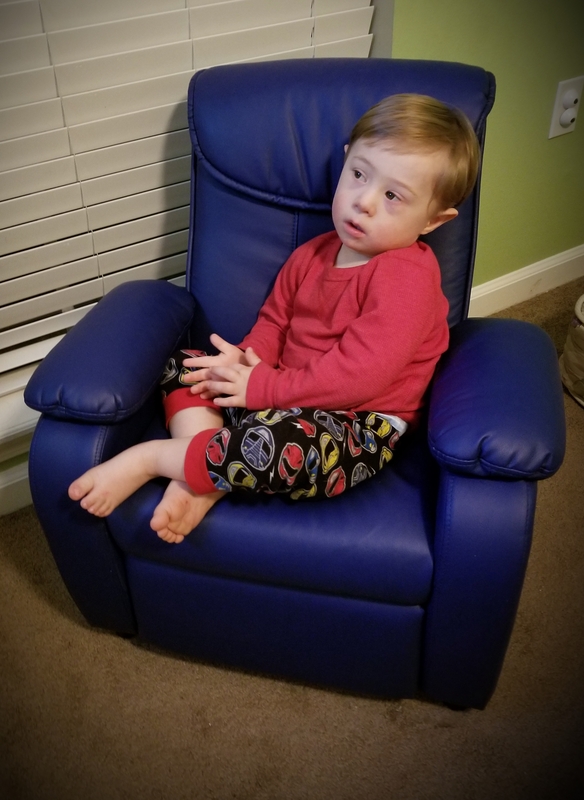 Someone unfamiliar with Down syndrome may wonder if kids with Down syndrome like to play with toys, or play on the playground, or do all the activities that all little boys enjoy doing…and the answer is, “yes, they do.” It may take them a little longer to develop, or reach their milestones, than other kids, but they are still….kids. They enjoy playing, and singing, and dancing, and being accepted, and being loved, and, well…just being kids. I love watching this kid play! Noah’s seven years old, and it’s so much fun watching all of the things he does as he gets “older.” It’s so great having a front row seat to his life as he grows up! What sort of toys / activities does your child like to do? Leave a comment below and let me know! My grandson, Nixon is 3 years old. I’m kinda list at what learning toys to get him. He is non-verbal still, but has 7 therapy sessions a week. He understands and wants to speak, but time will tell. I love reading about Noah, so glad you share stories with us. I live my grandson, with all my heart. And I am open to suggestions, thank you. Thanks for the comment and for sharing a little about your family and sharing a picture. You sound like a loving grandmother! Please keep us posted on your family’s story. Happy New Year. Our daughter (5) LOVES her Elsa doll (frozen) and Jesse (toy story). These two would go everywhere with her if she could. She changes them up with Woody and a couple of Barbies with a Ken thrown in from time to the me. Her play with them can be hilarious. Her dolls are very well loved, always naked and Jesse only has one arm now! Beloved toys! She also loves playing with her sisters toy kitchen. So much fun! It sounds like you have a great family. Thanks for sharing! Just wanted to take a moment to thank you, and your family for Sharing Noah’s story. I too have a physical disability, I was born with C.P. so I know a little of what Noah goes through, I have had friends with DS sadly for me they have moved on to be with Jesus. So thankful for parents who didn’t treat me any different then my “little” brother, and gave as much as they gave to him. You are doing wonderful with Noah, and your family. Again thank you for sharing, and may our Great God continue to bless you. Thanks so much for your comment, and it sounds like you’re family is great! Happy New Year! hi!my son is 3.5 and love trains…mobil phones..he stil hasn’t that kind of play like Noah (he is so adorable) but like to pretend he is a doctor or pretend he is cooking..
That’s awesome. It sounds like you have a cool little man! Happy New Year!